Delft is a beautiful (small) city in the province of Zuid Holland. Now, I pass through here twice a day, on my bike, as part of my endless commute to and from Rotterdam and The Hague. Some 32 miles in total. Each time I pass through here, I know I'm half way home or going the other way, halfway to work, but in doing so, I often forget to stop and admire, just how beautiful this place actually is. 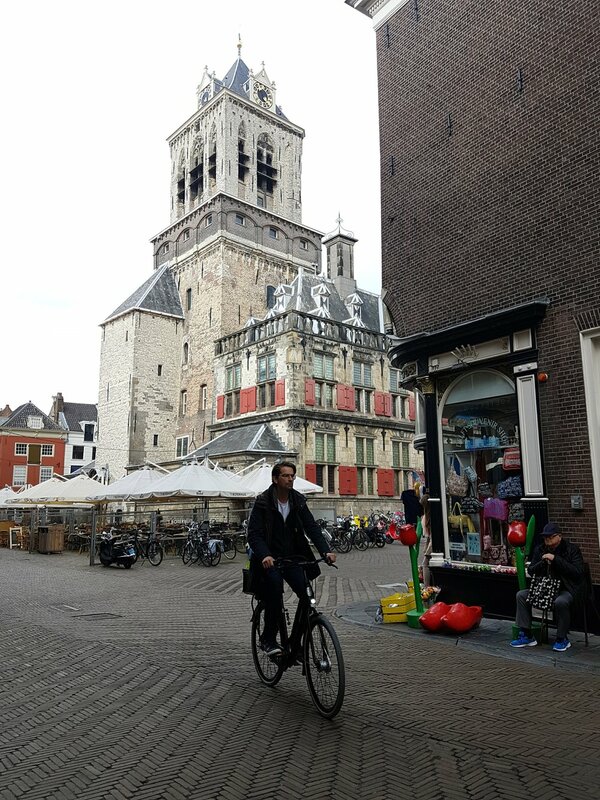 Within this particular blog post, I took the time to cycle up to Delft, one afternoon, in the hope of capturing a personal point of view of what this city really has to offer any potential visitor. Therefore, all views and opinions are my own, so feel free to comment or criticise, if you feel the need to. I happy to receive both. Despite living in the Netherlands for around 2 years, I still regard myself as 'new and learning'. To me everything about the Netherlands is both similar to the UK, yet so very different. So much so, I still can't shake that feeling of being a tourist and with that, everything I seem to see and do still remains relatively new and exciting. Thankfully, all of those feelings and experiences are pretty positive as I know I'm less likely, at this present time, to become bored or suffer from homesickness. As you have probably already gathered from reading my site, I cycle everywhere and for this journey, things remained pretty much the same. I decide to grab one of my many bikes, from the shed and then cycle the distance of around 12km or so to the city of Delft. 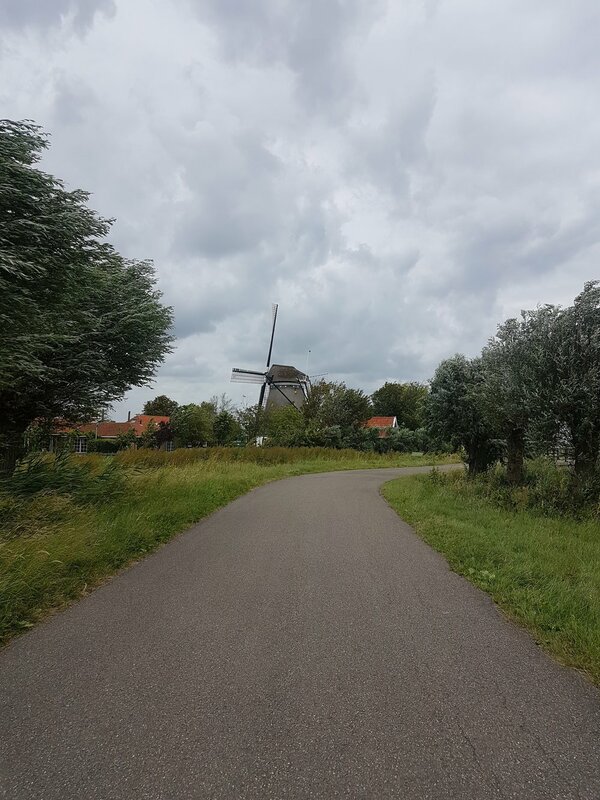 As you travel out of the city limits of Rotterdam, through the perfectly flat polder landscapes toward Delft, the landscapes start to change and the overall feel to the cycle ride too. I complete this route every day, up and down, to and from work, always with a smile on my face. Well... most of the time! Sometimes it's easy, sometimes really hard, but I know what I like and doing this is part of the person I am and I guess want to be. For me the benefits simply far outweigh the negatives. I'm fitter and healthier than I have ever been, I have an all year round tan and I have even got to know the horses, cows and sheep that graze here, all on first name terms. The landscape here is peaceful and the agricultural farmland that is so prevalent is inter-dispersed with beautiful natural areas, like the one at Ackerdijkse Bos. Here you can spend many an hour in the peace and quiet, watching the world pass by or if you fall asleep... the day. If you fancy doing something else, it provides a haven for wildlife, with many migrating birds using this as an area to shelter, feed and introduce new life to the planet. There are also many fishing spots and woodland walking trails, for all to enjoy. It is a really great area and again so close to the city. Furthermore, I live in Rotterdam, I love the outdoors and I also love nature. Within the Netherlands, land comes at a premium, so it is vitally important that the land is used in a variety of different ways. This particular area, extends into an area called the Midden-Delfland. Personally, I think that this is a beautiful area, due to its recreational use and also stopping the squeeze (from urban expansion) between the cities of Rotterdam and The Hague. The Natuurmonumenten manage this area in order to make sure the natural beauty is kept the way it is. I think they do a fantastic job, in not only raising environmental awareness, but also allowing people to utilise it in a respectable and harmonious way. Throughout other area of the Netherlands they do similar things and it clearly shows how nature and urbanisation can work hand in hand. Above are one or two images taken from the route. Arriving in Delft can be experienced some distance away. As you cycle along the cycle paths, especially in the Midden-Delfland, the landscape becomes open and it is possible to see for mile, upon mile. On a clear day, the view towards Delft is simply quite stunning, as the spire of the Neiuwe Kerk starts to come into view. It dominates the skyline for miles around and looks really elegant as it stands proud in the distance. It is one of main focal points marking the city along with the Oude Kerk and Stadt Huis in the main central square. The main central square in Delft is really attractive and a great gathering point for all visitors and locals. All manner of interesting events take place throughout the year so be sure to check out the local events guide. These vantage points lead you into the centre of the city and I'm sure in the past that is exactly what travellers and local farmers heading to market must have done many years ago. Today, it marks the impressive skyline of a really attractive and great city. On the outskirts of the city you move into the suburbs of the city and elegant looking houses, that must come at a price. The canals appear and I enter the cobbled narrow streets around the popular entrance point of the Eastern Gate. The Eastern Gate provides and interesting entrance to the city. The narrow cobbled streets of Delft that radiate from the centre are lined with interesting and authentic housing. Also scattered among them are the small shops that sell local produce, boutiques and of course plenty of CHEESE. Once in Delft I suppose the best thing to do is just wander...on foot. Delft is relatively small, so most of the central are can be covered quite quickly. Although the narrow streets filled with shops, cafes and many photo opportunities can be a great distraction and obviously then take up your time. It is definitely worth just taking your time, as you meander through these really stunning streets with old buildings and historical sites also adding to its appeal. The market square seems the main gathering point and a focal point for any photographer. What a stunning place it is, with the town hall at one end and the Oude Kerk at the other. It really is quite a stunning location and one that seems to draw all of the visitors. Around the perimeter are shops and cafes. During both the day and night this place is vibrant and the option to sit on a terrace and watch the world pass by is very appealing to any potential visitor. I do believe at some point during the week, there is a market. Where you can buy your local produce and some other bargains. Again, this is very common in all small towns and cities and I guess has been common place for many a year. While you are here, there is also a great option to travel by Tuk Tuk around the city, so if you are feeling lazy and want someone else to do all the work, then just call one over, hop in and simply enjoy seeing the sites from a different viewpoint. Information on this can be accessed here. Another great option to get around is taking to the water on a canal cruise or small vessels, like paddle boats or rowing boats. Either way it is a great option and certainly gives a whole different view on things. Rondvaart Delft provides a great service and have been doing so for over 50 years. They are located in the centre and are easy to access or click on the link before your visit to ensure a reservation. Like most cities that attract a well balanced mix of tourists there is bound to be a range of places to eat and drink. 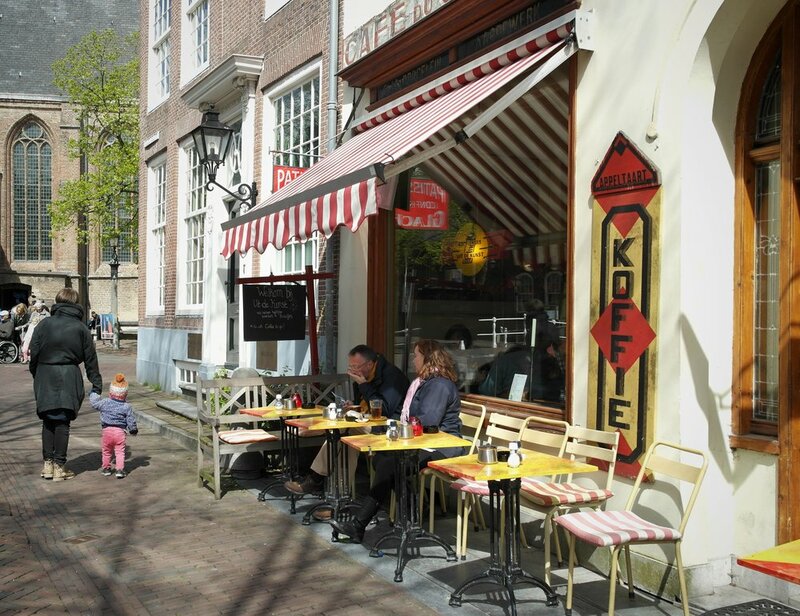 Delft has a large range of good establishments that are dotted all around the city. Personally, I am not a food critic and I'm happy to eat almost anywhere once. Food is food to me and as long as it looks good, I'll eat it. Around the main centre you will find lots of eateries that are reasonably priced and providing a range of foods, from Dutch food, Tapas, Indonesian etc. Walking away from the main square the side streets are fully of cafes, bars and restaurants. 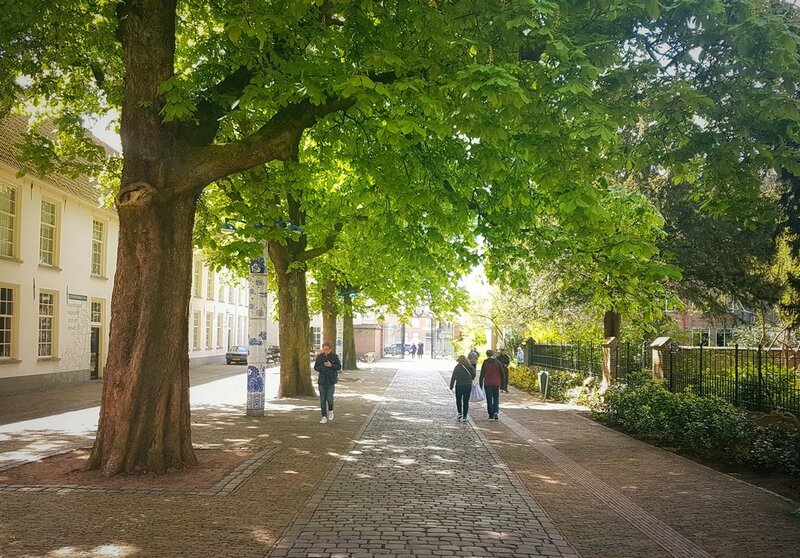 Delft is a University town, with a big student population, so you can always guarantee there will be plenty of good places to gather. Personally, I really like my coffee, so I'm often frequenting and drinking in cafes, where the terraces are strategically positioned to watch the world go by. I like the Coffee Company, for simple reasons that the coffee is pretty decent, it is perfectly located to obviously drink coffee and also people watch. When in Delft, a great past time for many of its visitors is to just sit, rest drink, eat and just enjoy what's happening all around. Now the Coffee company is a chain and probably not to everyone's liking, but it's location is just the greatest appeal. I also like a beer or two and for me I would prefer a proper beer or Belgium beer, as opposed to the run of the mill Heineken beer or similar. With that said there are plenty of place to enjoy a beer. The Beestenmarkt area has plenty of great places to enjoy your time and particular the Belgian Beer Cafe Belevedere has everything you would need. This area (the Beestenmarkt) is also great when the weather is good, as it is a fabulous place for live music and festivals. It is a sedate square surrounded by tall trees and has a very homely feel to it. Many visitors like this area, as it is culturally vibrant and there is so much to see and do. Likewise, just around the corner and off the main square is De Sjees which again is a really great place offering food and drinks. I have been lucky enough to visit here in the day time and enjoys some good brodjets (sandwiches) and also in the evening when they serve for evening meals. The food is good and the atmosphere is really inviting. A great place to sit. Outside the cafe close to the Oude Kerk in the centre of Delft. For Ice Creams and Chocolates this place is simply the best. Each time I wander down this way, this place always has a long line outside. Generally, that is a good sign and when you eventually wander close, that is confirmed as the distinct chocolate smell hits you and the great range of colours from the homemade ice creams. If you are in the area, you must visit here. It is a must see. Delft, wouldn't be Delft without seeing, eating or buying some cheese. Like in most areas of the Netherlands cheese is pretty important to daily life. In fact one certain member of my household is slowly transforming themselves into a mature block of Gouda and they don't know how to stop it. Now, truth be known, I'm not a great lover of all things cheese and if I do eat it, I'm very particular in what I do eat. But... when in the Netherlands, you do need to do what the Dutchies do and one thing they do well, is... Cheese. Cheese and More by Henry Willig, is aptly named, as it not only offers Cheese, it also offers lots more. You might be thinking what on earth is more? Well, you really have visit to experience the full delights, but Cheese and More is situated on the market square and is filled with all manner of wonderful cheeses. From Lavender flavour, to Cumin, even selling Young Goat. The mind boggles, but it is truly and experience not to be missed. The more aspect is simply everything that accompanies the cheese, like an extensive array of mustard, pickles and even rugs made of wool to sit on. Hmmm! Bizarre as it may sound, I can assure you it is all very normal in these part and to see this is believing. Life in Delft must be pretty fantastic. Living close to the centre must have its inevitable perks. As there is always something to do. It is a city that appeals to me as it has a quaint and historical small town feel. If your English, like me, then imagine Delft is a cross between Cambridge, Chester and York. Only Dutch and slightly smaller, but I'm sure you get the idea. It is a nice place, clean and tidy, good places to just enjoy life and just a pleasant feel. The properties close to the centre are historical and unique. I think they are also quite expensive too. They are historical in appearence and remind me of similar style properties back home in the UK. You can see why these houses are well sort after, as they are not only very authentic, but there is so much on offer, really close by. Away from the centre is the train station, some 10 minutes walk from the main square. Here the trams and trains serve regular services to The Hague, which is very close and Rotterdam a little further in the other direction. Beyond The Hague is the beach, so that too has significant appeal, as it is really close by. 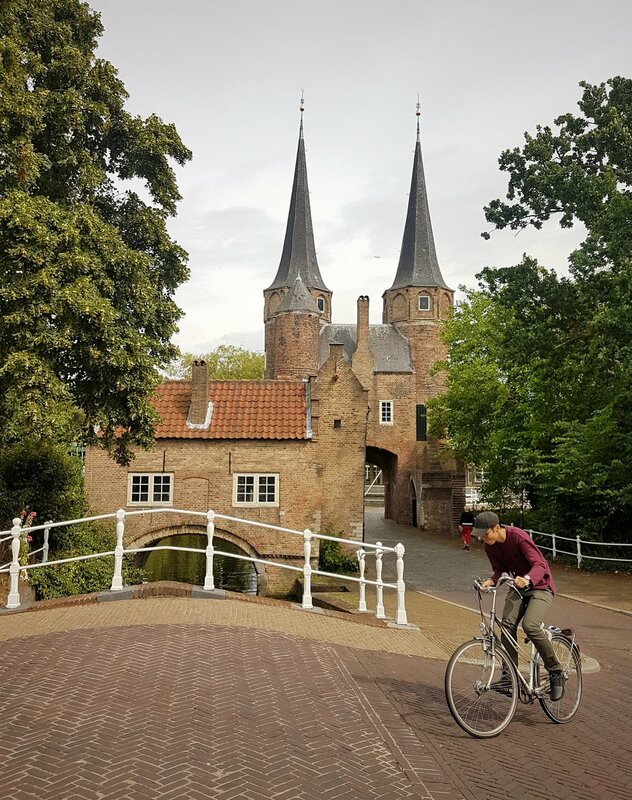 Surrounding the city of Delft is great countryside and as previously mentioned at the start, it doesn't take long to be out enjoying yourself in the natural environment. The residents here in Delft must also be very happy, as there is other amenities like the cinema, theatre and open space. On my way into the city youngster were gathering by the bridges of the main canal and then jumping into the water and swimming around. Also in the southern part, Close to Defltgauw is a recreational area that has a large network of woodland trails, walks and a lake used for fishing swimming and boating. When the weather is good, it is a great place. There is no doubt in my mind the Dutch really do cater for its residents and do provide services and ammenties that make residents lives pretty fulfilled. Furthermore, I cannot get over how clean and effiecent everything is, it is pretty cool. Like most cities that thrive on visitors from outside, you are bound to have a wide range of places avaialbe to stay. 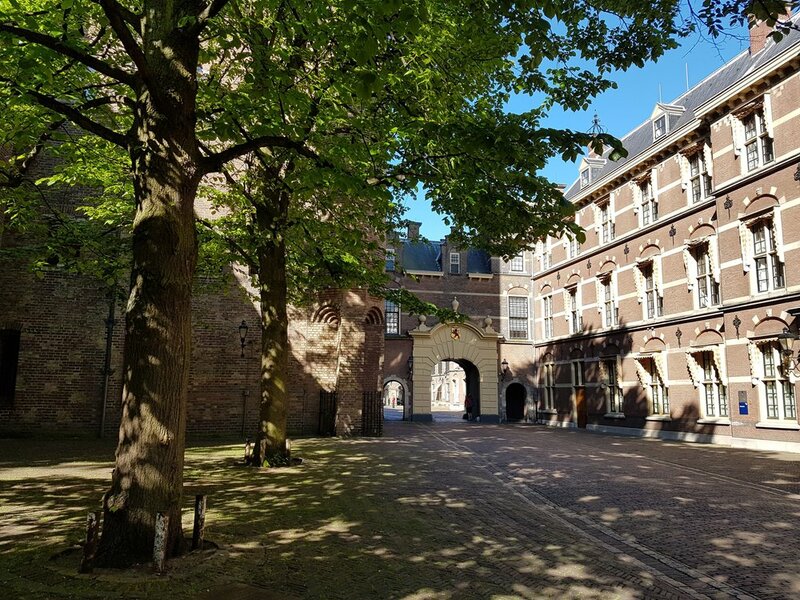 Delft is no different, with a large range of hotels, bed and breakfasts and also Air BnB's located all around the city. I suppose a lot of things come down to preference and of course money, but it is safe to say Delft has it all. As one such example my parents recently stayed here a few months ago, after realising they could put up with our cheese and pickle addiction. Therefore, they found a really wonderful B & B located within the city, but only just a short walk from the main attractions of the city centre. The Bea and Blue - Bed and Breakfast provided them with an excellent stay, within a comparable price range. The location was both close to the city centre for all of the attractions, the train station was close by, but also far enough out to be located in a quiet residential area. I'm not a travel agent and I consider finding a place to stay is definitely a personal thing. What works for one may not necessarily work for someone else. With that said, here are one or two locations that might suite you. Delft has no real luxurious hotels, but Hotel De Emauspoort is a great choice. The emauspoort.nl has range of doubles from with breakfast, that provides a great and quirky option. It is situated on a small canal behind the Nieuwe Kerk, it has bright, individually furnished rooms – and two converted gipsy caravans in a garden courtyard. Or you can splash out on the split-level Vermeer Room which is more pricey, but with a view of the church. Bridges House Hotel or bridges-house.nl is situated on a quiet stretch of the most attractive canal in town. Rooms are subtle in taste, well furnished and breakfast. Hotel Grand Canal grandcanal.nl) is actually a converted prison building, standing in the style of a Venetian-style close to the water’s edge. Rooms are cosily furnished and the hotel is within comfortable walking distance of all the sights. The Prinsenhof in Delft is an urban palace built in the Middle Ages as a monastery. Later it served as a residence for William the Silent. Here is an image of the small and tranquil gardens within close proximity to the museum. It is a peaceful spot and well worth a visit. The Eastern Gate in Delft, is an example of Brick Gothic northern European architecture. It was built around 1400. Around 1510 the towers were enhanced with an additional octagonal floor and high spires. It serves as a great focal point, when entering Delft from the south and is a well photographed spot. The Oude Kerk, nicknamed Oude Jan and Scheve Jan, is a Gothic Protestant church found in the old city center of Delft. Its most recognisable feature is a 75-meter-high brick tower that leans about two meters from the vertical. It is an impressive site and make for a each catching photo. 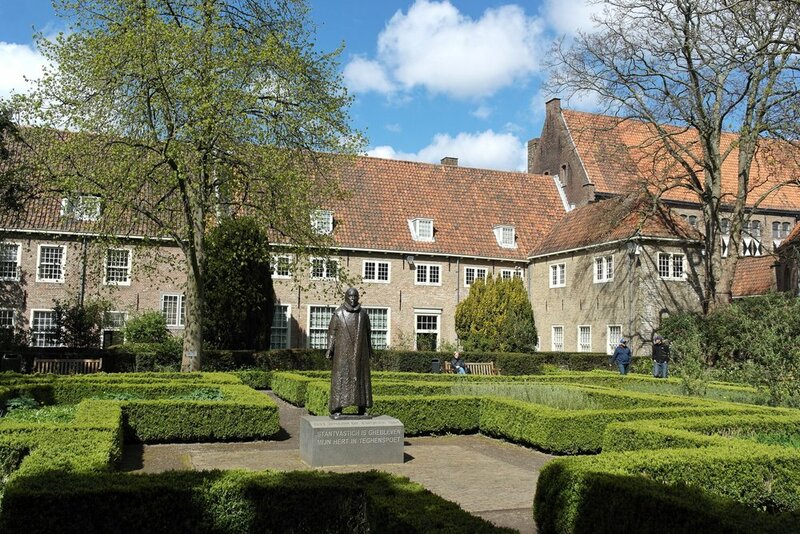 The beautiful Botanical gardens are run by University of Delft, with arboretum, tropical greenhouse & flower gardens. It is a great spot to spend a peaceful afternoon in these pleasant surroundings. The Koninklijke Porceleyne Fles is the only remaining factory of the 32 earthenware factories that were established in Delft during the 17th century. The factory is famous for its Royal Delft Blue patterns, that are recognised all around the world. 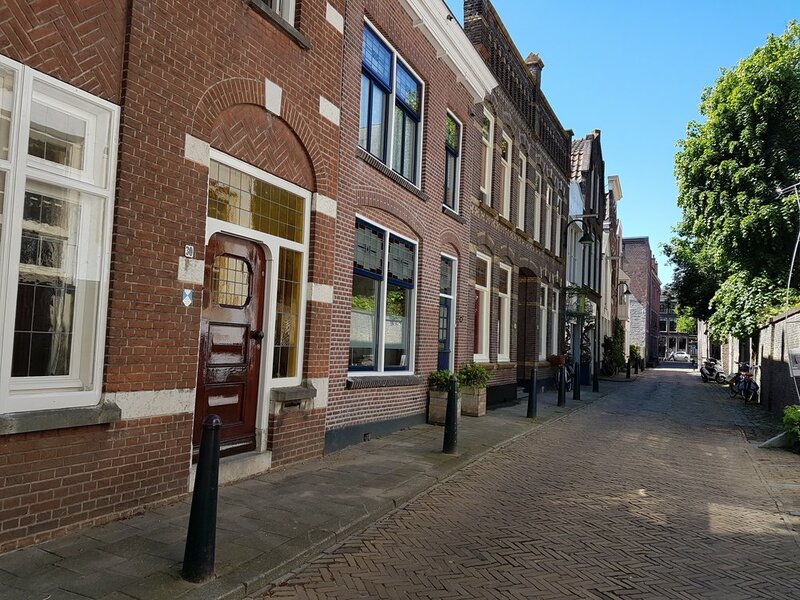 This latest blog post is again my own personal view point of an afternoon spent wandering around Delft. I hope that you have enjoyed read my thoughts and hopefully it might inspire you to visit one day soon. As a form of disclaimer, I'm not a travel agent and I don't particularly want to be, but I will continue to tell it like it is. 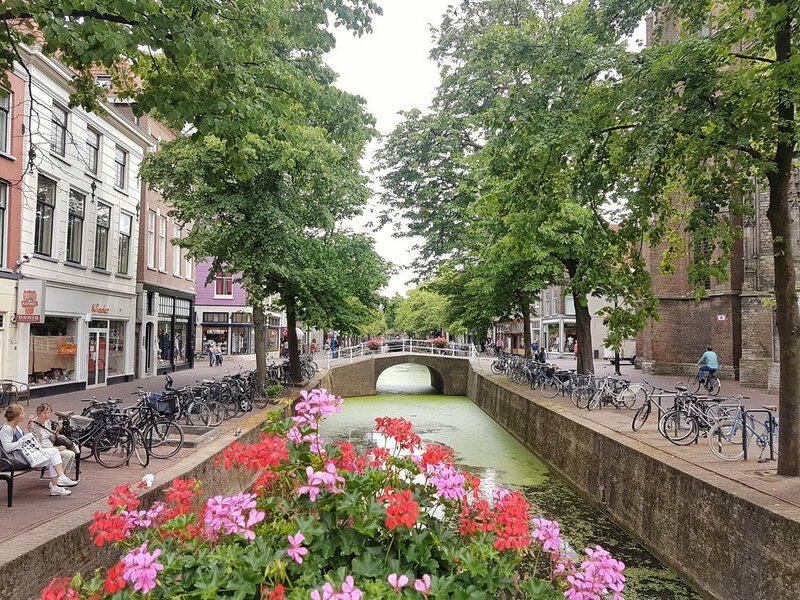 Delft is a fabulous place and despite many other beautiful places to also visit in the Netherlands, Delft is really worth a visit. Even though I travel through here on a daily basis, perhaps without a giving it a second thought. 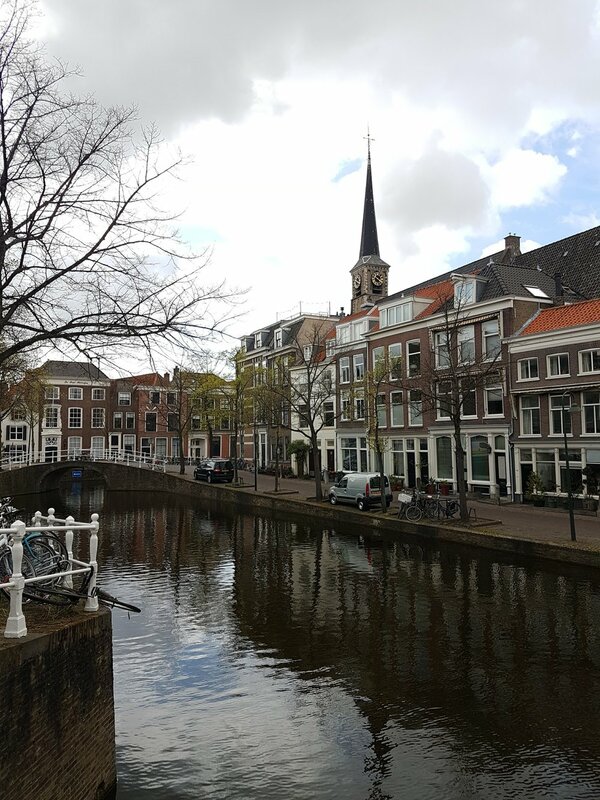 Delft has plenty to offer and on my next visit out here, I'm sure I'll find something new to discover and also enjoy. Happy travels! Once again I would like to extend a massive thank you to anyone who reads my blogs. It is great and extremely humbling that people do and great that I have been continually asked to write more or share content on other blogs too. It is starting to become the start of an ambitious and wonderful journey. It is also incredibly motivating for me and I continually enjoy what I'm doing here. I'm continually learning from each and every blog I write, so your feedback is important. I would appreciate any feedback as it serves as inspiration, to allow me to write and develop my content even more.